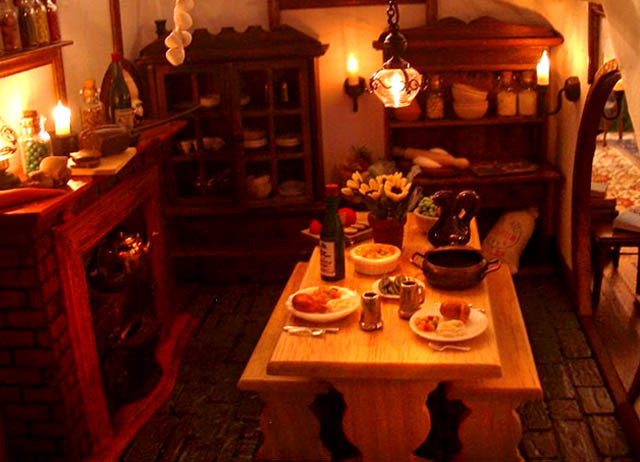 Doll's House enthusiasts usually trace the origins of their fascination to European “baby houses” of the 1700s, though kids were kept far, far away from these elegant treasures; they were more a status symbol than a real plaything. True doll houses, featuring elegant miniaturization and suitable for children to play with, really began to come into their own with the industrial age, around the turn of the 20th century. 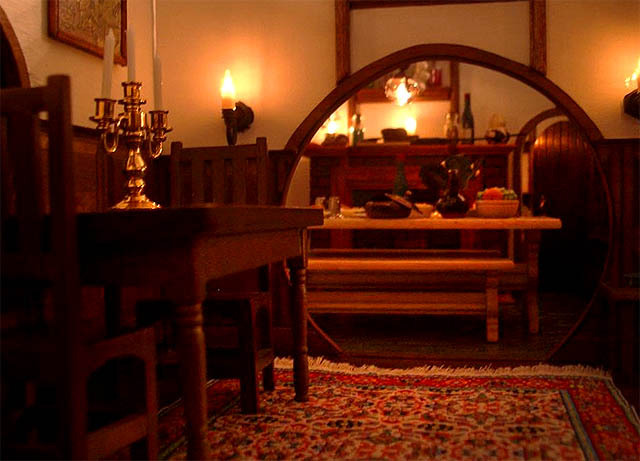 The finest makers of houses (and their mini-furniture), were usually German (before the first World War) and then the British and Americans. 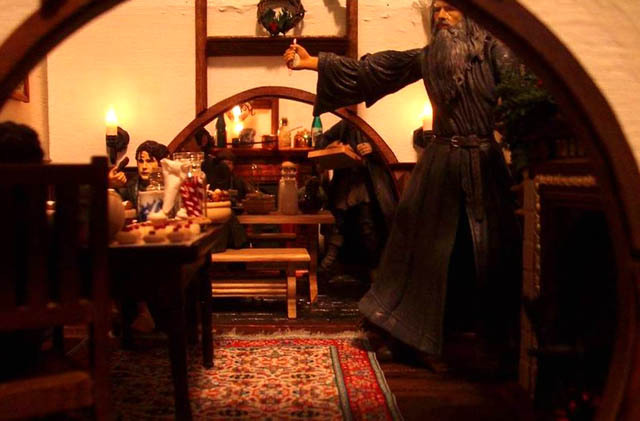 Dolls and their houses existed before machines took the place of skilled craftsmen, but only rich kids could afford them -- and then only played with them very, very carefully. Some of the kids who enjoyed them grew up and transformed their childhood fun into a seriously wonderful hobby, if not magnificent art. 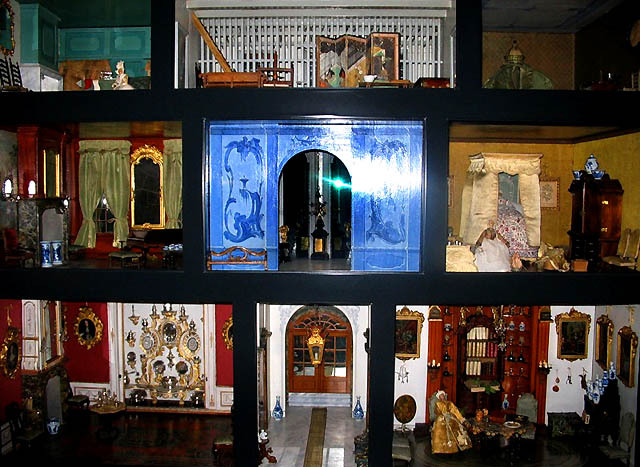 One of the more celebrated doll houses lives in the Museum of Science and Industry in Chicago. Created by legendary silent picture actress Colleen Moore with the set designer Harold Grieve, the fairy castle is a magnificent work of art as well deliriously scaled precision. Towering more than eight feet tall, the house features murals painted by someone you may have heard of (Walt Disney), chandeliers with real diamonds, the tiniest Bible ever written, tapestries featuring the smallest recorded stitches, a library of more than 100 hand-printed books, a pure silver bathtub (with running water), and still more amazing treasures and exquisite details. Being a screen queen gave Colleen Moore an opportunity to create a magnificent fantasy castle, but if you want true opulence in small scale you have to … well, let’s just say it’s good to be the queen. 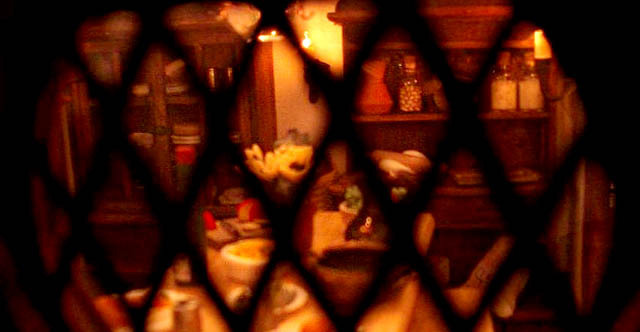 But the Queen’s dollhouse was more than a plaything. It was, and still is, a frozen moment in British history, a miniature collection of the pride of the empire with works and features showcasing the best the country had to offer. 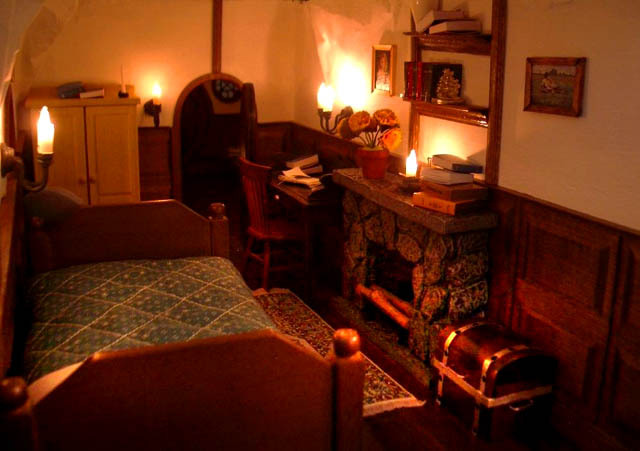 Like Colleen Moore’s castle, the library had an extensive collection of handwritten books, but because she was the queen, after all, the royal doll house’s library had unique works by Kipling and Sir Arthur Conan Doyle. Accurate in every aspect: right down to tiny little wine bottles with real wine, tiny magazines and books, real carpets, plush furnishings, fireplaces, with real framed art hanging above them. Perhaps the most impressive of all is the five inch-long vintage motorcycle, which reportedly has a real, working motor. There are simply far too many curiosities and small-scale wonders to talk about in one article – from immaculate working steam trains and gasoline-powered racing cars. 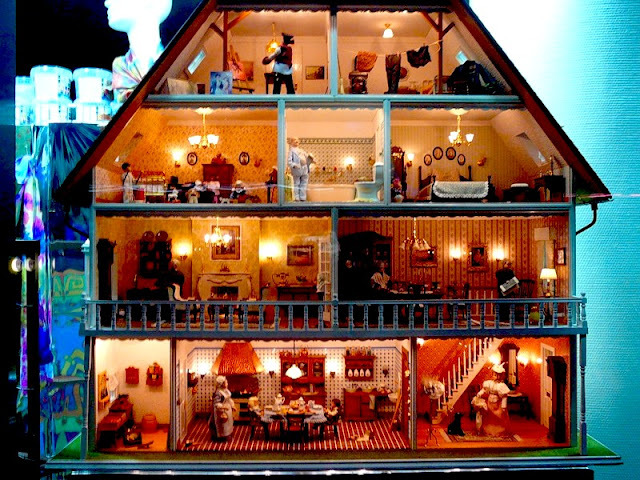 But this incredible doll house might take a special place in your heart - once you see how lovingly it's made and how warm and cozy the detailing is. 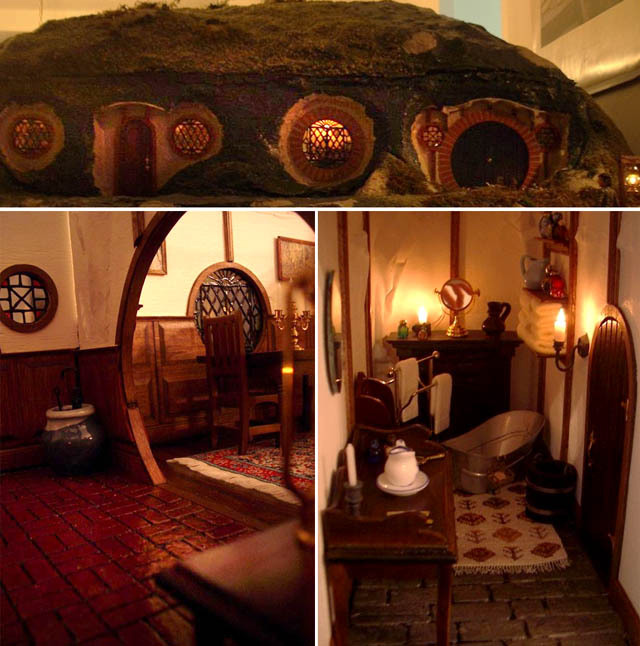 Livejournal user ObeliaMedusa built a perfect replica of Frodo™s Hobbit House, using a usual dollhouse scale, 1 inch: 1 foot - with all two rows of rooms together measuring about 25" by 36". That tells you that even the most intimidating of projects are possible, if you start with a small wonder and add to it... one little step at a time. Wow, also, the Swiss were extremely fine makers of Doll houses. The detail that goes into those doll houses is amazing to me! I can't imagine the patience it takes to make them. Until I started furnishing it, I had no idea how much it would cost me to furnish it accurately. 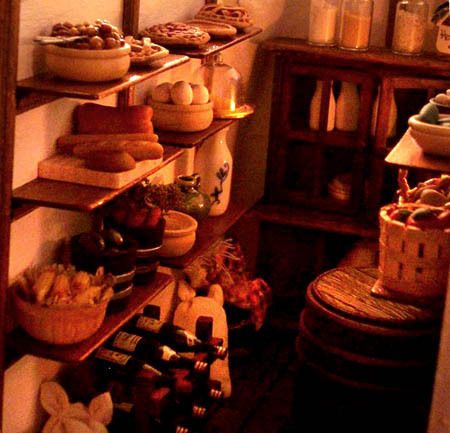 For instance, if you look in the dining room, there's a circular display cabinet, which cost me £80! Kalos, you're absolutely correct. 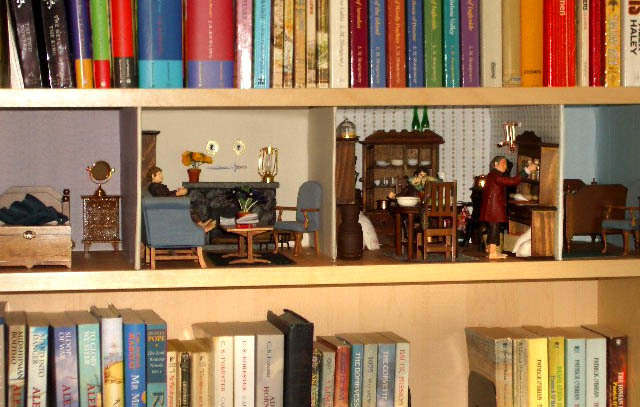 It also takes months if not years to finish a dollhouse or roombox with this kind of attention to detail. 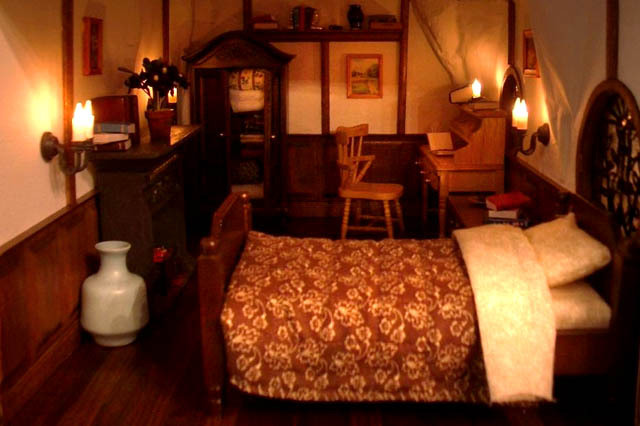 We've built a few dollhouses, and although not museum quality, they do take patience and craft. I restore vintage dolls houses and love to see older houses. 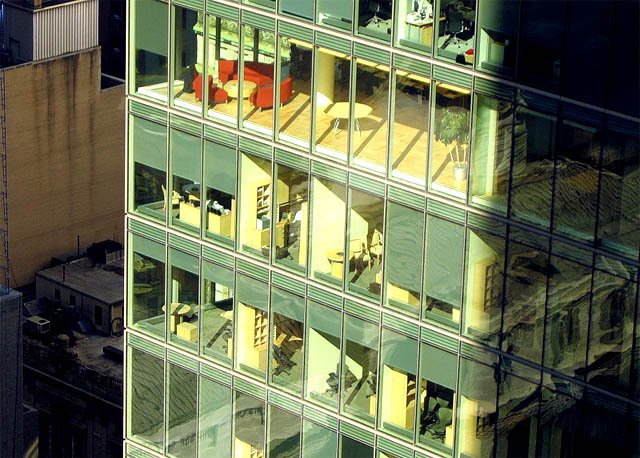 It's not true that 'true' dollhouses are for children to play with. 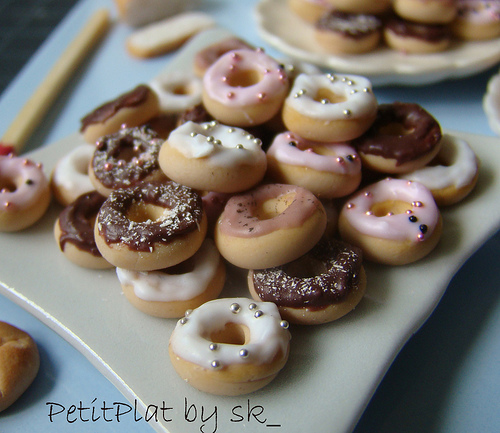 check out the miniatures on my blog, they're all for adults only! And still true dollhouses.